Comes standard with 3 antique brass Large Basketweave Pulls and 1 set of antique brass Mirror Swivels. 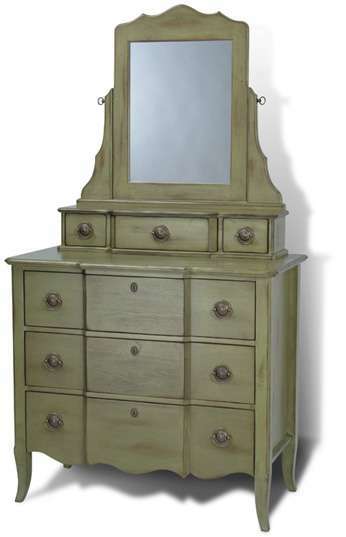 Features 3 drawers on wooden drawer glides and 1 mirror on mirror swivels. Shown with HC3-Hartford 3 Drawer Chest. Ships in 2 corrugated cartons: Mirror (23 lbs) and drawers/mirror arms (23 lbs) on 1 wooden pallet (50 lbs).